Are you ready to master your schedule and focus on what's truly important? This mini course helps you break free from a to-do list that overwhelms, so you can get things DONE. Have you ever looked back at your day—or week or month….even your whole year—and felt frustrated at all the things you didn't get done? More importantly, in the day-to-day of life, have you ever noticed that all the things you want to do quickly take a back seat to far too many maintenance tasks that simply have to come first? I'm talking about maintenance tasks like laundry, meal planning, housecleaning, cooking, dishes, driving to and from your children's sporting events, running miscellaneous errands….and the list goes on and on and on. Suddenly, that business you thought about starting, the photography class you always wanted to take, or the pile of books that were supposed to help you meet a reading goal this year, don't ever see the light of day because of the list. We take the most urgent tasks and place them above our most desirable ones. We distract ourselves with busy, but forget that making it through one busy day after the next won't really help us accomplish our future dreams and goals. If we keep living as if our schedules rule us rather than the other way around, we may look back on our life one day and wonder why we spent so much time focused on the little things…and made little to no progress on the BIG things. Are you mastering your schedule…or letting your schedule master you? I want to help you change that. 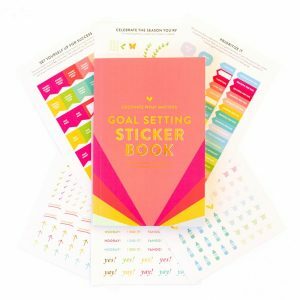 I want to show you that it's not just about setting better goals or managing your time better. It's not about squeezing in more tasks or adding more things to your plate. 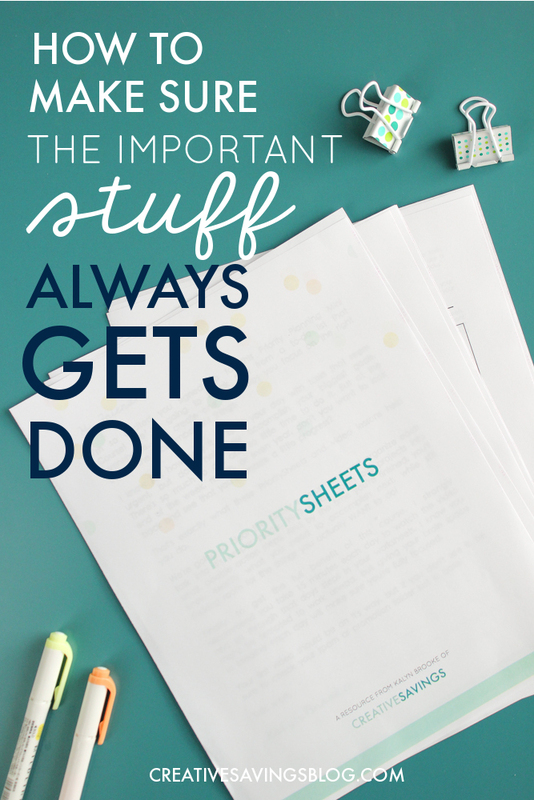 It's about prioritizing all those tasks in the most efficient way. Over the past few months, I've been creating and perfecting a priority management system that hits each of these problems head-on, one that helps you create a to-do list that matters. 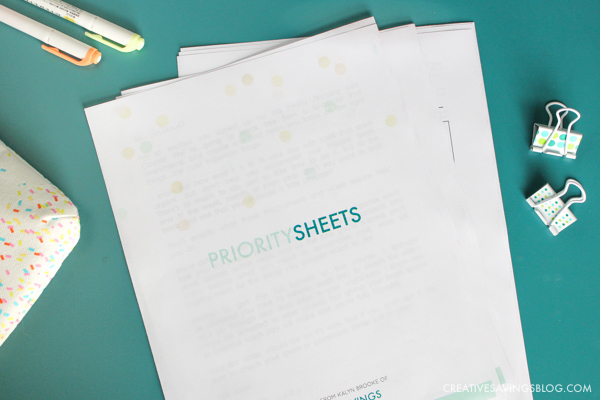 This 3-day Priority Planning Mini Course comes complete with videos and a set of downloadable PrioritySheets, which you can use to discover and organize your top priorities. When I talked with my blogging friends about this course, they strongly encouraged me to charge for it…that I shouldn't be giving away this stuff for free. And while I totally respect their opinion, I decided that I truly wanted this mini course to be my gift to you. To sign up, just add your name and email address to the box below. When you do, you'll automatically become a Creative Savings BFF, which means you get access to my weekly newsletter packed FULL with creative inspiration to simplify and streamline your entire life. Many Creative Savings readers say it is a highlight of their inbox! My goal is to help you break free from a to-do list that overwhelms, and instead create the list that will help you master your schedule and achieve the most important things. I can't wait to see you inside the course! What is ONE thing you want to do that you've never had time for? Disclosure: Some of the links in the post above are affiliate links. This means if you click on the link and purchase the item, I will receive an affiliate commission. Rest assured, I only recommend products or services I use personally and believe will add value to my readers. Read my full disclosure policy here.